One spring, several years ago, I discovered that my chickens were smarter than I was. That did not bode well with me. I have college and graduate school degrees. I speak 2.75 languages (meaning besides the two languages in which I’m somewhat fluent, I speak enough French and Spanish to order a glass of mineral water in a small, uncrowded European cafe). I even know how to color coordinate clothes. And I’m capable of realizing that I should feel full after eating three slices of lemon meringue pie. But still, my chickens were smarter. I feed them every morning. I give them water. All I expect in return, are a few eggs now and then. They’ve been fairly cooperative. But one hen, Coco, feeling rather broody, gathered sixteen eggs beneath her bottom when I turned away for a few moments. Then another hen, Ethel, climbed into an adjacent nesting box in a concerted attempt to monopolize all eggs. 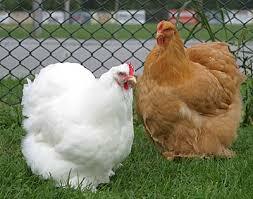 “Don’t even think of touching these eggs or you’ll be at the bottom of our pecking order. After two weeks of this nonsense (or hensense, in this case), I announced to my family that I planned on collecting all coop eggs and tossing them. These hens’ behavior was not conducive to hatching chicks. I caved in, knowing full well that there’d be no chicks. The same thing had happened last year. Early one chilly morning, I stumbled out to the chicken area for the feeding. As usual, I peeked inside the coop to exchange dirty looks with the hens, but they ignored me. Instead a tiny gray head, no bigger than my thumbnail, stared back, covering me with a thin film of guilt. 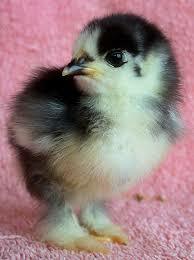 A beautiful little chick. I always periodically jump to conclusions about people and situations. It’s a habit that’s hard to break. You’d think I’d know by now that thoughts should be weighed carefully before being expressed, and only then with wisdom and understanding. Giving careful consideration to our thoughts, and our writing, gives time for ideas to fully develop and hatch into something that could end up quite beautiful. When I don’t give the written word the time and attention it deserves, I end up wasting energy and words. Pondering even just a bit, can make all the difference. YOU ARE RIGHT, IT IS A HABIT HARD TO BREAK.I THINK EVERY BODY SOME TIMES JUMP TO CONCLUSIONS WITHOUT REALIZING. THANK YOU AGAIN. KEEP IT UP, I LOVE YOUR BLOG. Thank you very much, Vicky! I appreciate your comment!